UNT is home to Grammy nominated student ensembles. Hear them in the Union! Wanting to hear a particular band? Check out the detailed, date-by-date calendar. 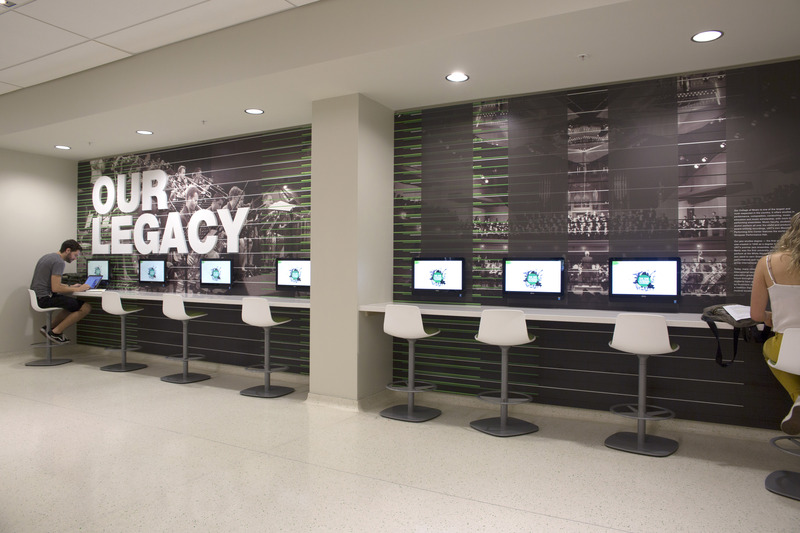 Named for the famed One O'Clock Lab Band, this open area on the third floor features a row of interactive touch screens that act as a digital juke box. Plug in your headphones any time and enjoy archives of UNT jazz music through the ages.